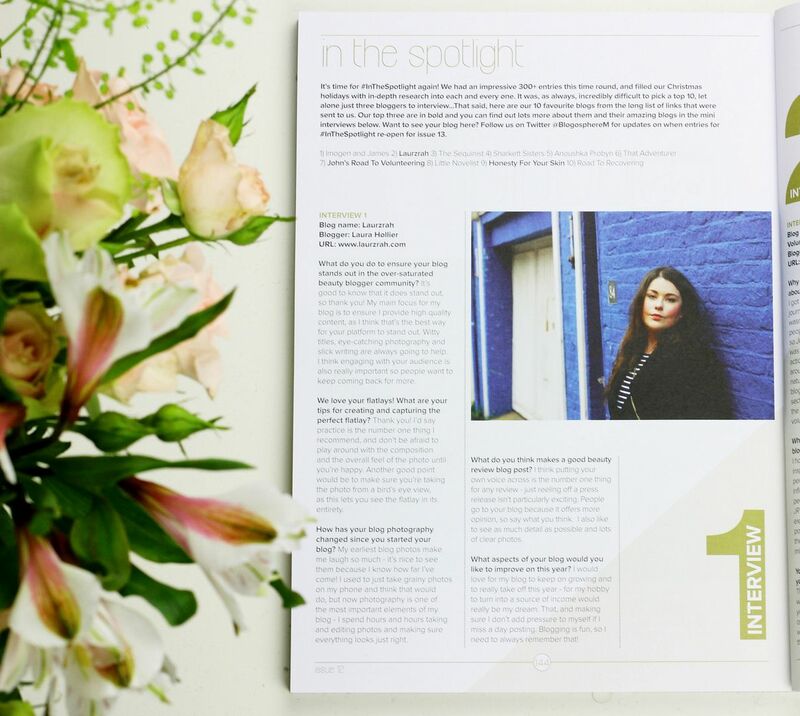 I’m beyond thrilled to share some exciting news with you – I’ve had to keep it a secret, but I have been featured in this issue of Blogosphere Magazine! I am delighted to have been featured in an issue starring Dina Tokio as well. It’s a really incredibly feeling to have your blog recognised, and I can’t even begin to explain how grateful I am to have had this opportunity. I was actually interviewed for the In The Spotlight series, and this has basically been a fantastic start to what is going to be my year of blogging.